Though no claim of responsibility has been made, it appears Taliban/al-Qaeda elements may be behind the assassination of a recently retired Pakistani Special Forces general and his driver in Islamabad (The News [Islamabad], November 20). The target of what appeared to be the work of professional killers was Major General (Ret.) Amir Faisal Alvi, former General Officer Commanding of the Special Services Group (SSG), Pakistan’s elite Special Forces unit. General Alvi led several SSG operations in the Wana district of South Waziristan, during which numerous Taliban members were killed or captured. Seemingly at the top of his career, General Alvi was suddenly dismissed by the Army on disciplinary grounds for “conduct unbecoming” in August, 2005. The details of the dismissal have never been made public, leaving outsiders to speculate whether the dismissal may be linked to his assassination. After a forcible retirement from the Army, General Alvi took up an executive position with the Islamabad office of Malaysia’s Red Tone Communications, a telecommunications company. An associate of the general revealed afterwards that the general had been receiving phone-threats from the Taliban for three months and had a death threat painted on his house only days before the murder (The News, November 20). Despite the warnings, General Alvi appears to have taken few, if any security precautions, taking the same route to his office most days. The ambush was carefully planned, taking place at a speed-break where his vehicle would be forced to slow down. According to witnesses, General Alvi’s vehicle was intercepted at the speed-break by two youths on a motorcycle and a Mitsubishi Pajero SUV. Acting in a deliberate fashion, the assailants, one youth from the motorcycle and two men from the SUV, opened fire from both sides of the general’s vehicle, making sure that Alvi was dead before leaving. The whole operation took roughly 30 seconds. According to police, 9-mm pistols were used in the attack, with the general struck by bullets eight times, his driver six times (The News, November 20). 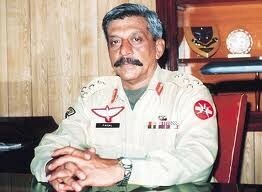 A former instructor of the General at the military academy, Brigadier Shaukat Qadir speculated on the reason Alvi may have been targeted: “he was the kind of fellow who probably made some boasts about what he has done in his life in the SSG and elsewhere in the operations in Wana so perhaps that would be one reason I could think of” (Dawn [Karachi], November 19). Though the SSG played a major role in the Lal Masjid assault of 2007, General Alvi was no longer with the force by that time. 20 SSG members were killed in a retaliatory suicide bombing on the SSG officers’ mess in September 2007. Besides al-Qaeda and the Taliban, the Sunni extremist Lashkar-i-Jhangvi is also considered a suspect in the killings. Interior Affairs Advisor Rehman Malik announced recently that Lashkar-i-Jhangvi was one of three groups being used to carry out al-Qaeda operations in Pakistan (The News, November 23; Dawn, November 21). Considering the sensitive nature of General Alvi’s work with the SSG and the mystery surrounding his dismissal from the army, it is also possible that the reason for his death may be known only to those deep inside Pakistan’s intelligence community. The SSG consists of at least three battalions of highly trained commandos. Since its formation in 1956, SSG personnel have received advanced training from the Special Forces of Britain, the United States and China. The SSG in turn offers Special Forces training to a number of Middle East nations. The unit saw extensive service during the 1965 and 1971 wars with India and the 1978-1979 Soviet-Afghan war. Unconventional warfare, reconnaissance, counter-terrorism and intelligence-gathering are a few of its many responsibilities. In recent years the SSG has been used in covert operations targeting al-Qaeda and Taliban members in Pakistan’s northwest frontier region. SSG personnel often work closely with Pakistan’s Inter-Services Intelligence. In an effort to prop up Somalia’s Transitional Federal Government (TFG), Kenya has decided to send a battalion of troops to join the undermanned African Union Mission in Somalia (AMISOM), which has only 3,000 of its authorized strength of 8,000 troops (Afrique en Ligne, November 18). 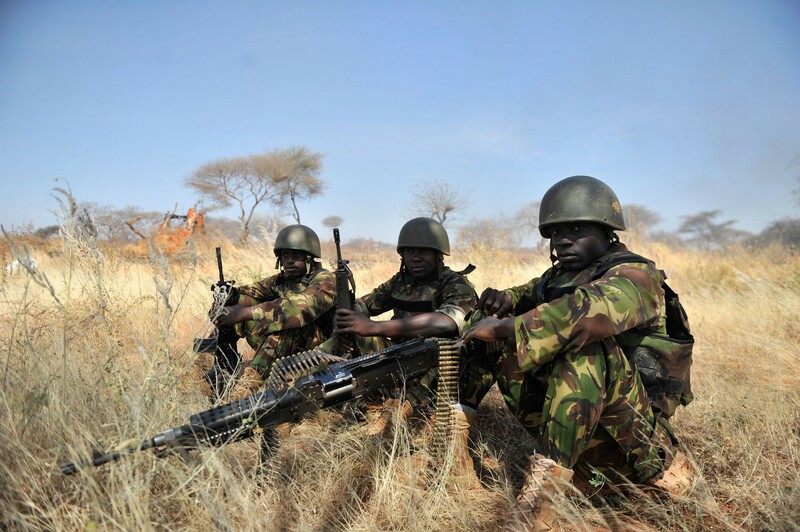 Kenya has so far tried to avoid becoming embroiled militarily in the Somali conflict, though it has provided military training for TFG troops. With a mandate calling for support of the unpopular Transitional Federal Government (TFG), Somalia’s insurgents regard the AU peacekeepers as being little better than the Ethiopian occupation force. There have been frequent and sometimes fatal attacks on Ugandan and Burundian troops, the only countries so far to actually send soldiers to Somalia as part of their commitment to the AMISOM peacekeeping force. TFG forces appear unlikely to be able to pick up the slack once Ethiopian troops have fully withdrawn – they are sporadically paid, have little commitment to the TFG and devote much of their effort to looting merchant warehouses in Mogadishu. Under pressure, most of these forces can be counted on to go home or defect to Islamist formations. Shaykh Hassan Dahir Aweys, leader of the Eritrean-based faction of the Alliance for the Re-liberation of Somalia (ARS), warned last week that efforts to replace Ethiopian occupation troops with Kenyan peacekeepers would “meet with nothing but failure… We will fight them like we fought the Ethiopians” (Radio Shabelle, November 20). Aweys has spoken in the past of forming a “greater Somalia,” incorporating the Somali minorities living in eastern Ethiopia and northeastern Kenya. As Islamic Courts Union (ICU) chairman, Aweys once declared, “We will leave no stone unturned to integrate our Somali brothers in Kenya and Ethiopia and restore their freedom to live with their ancestors in Somalia” (AP, November 19, 2006). Responding to reports that Kenyan troops would attempt to occupy south Somalia as far north as the port of Kismayo (currently occupied by Somali Islamist forces), the Shaykh said, “I’m specifically warning Kenya. I was told that Kenya said that it will send troops [to Somalia]… I warn Kenya that it should not pay any interest to this matter, because Ethiopia has already failed. I understand that Kenya is planning to deploy up to Kismayo town. Kenya should not burn the thatched house that it is living in” (Radio Shabelle, November 20). Rejecting the position taken by rival Djibouti-based ARS leader Shaykh Sharif Ahmad, who has entered into an agreement with the TFG, Shaykh Aweys asserted that his faction would continue the campaign against foreign occupation: “We still stick to our position, we stick to fighting, we stick to holy war, we stick to liberation” (Radio Shabelle, November 20). A spokesman from the Shabaab administration of Kismayo, Abdigani Shaykh Muhammad, announced, “If Kenya sends soldiers into Somalia, then we will recognize Kenya as an invader like Ethiopia, Uganda and Burundi” (Radio Garowe, November 20). Al-Shabaab is the most radical of the Islamist factions fighting the TFG and the Ethiopian troops supporting it. Its leader, Shaykh Mukhtar Robow “Abu Mansur,” has pledged his allegiance to al-Qaeda, but there is little evidence of operational ties as of yet. Abu Mansur threatened to bring a “jihadi war” to Kenya in October, over Kenya’s provision of military training to 10,000 TFG recruits (see Terrorism Focus, November 5). Al-Shabaab is also angered by Kenya’s practice of extraditing Somali nationals to Ethiopia, where they are detained and questioned by U.S. intelligence. The Shabaab spokesman warned that the Islamists will “wage attacks inside Kenya” if the deployment to Somalia goes ahead. With the TFG now exerting control over only parts of Mogadishu and Baidoa (and in daylight hours only), the gradual withdrawal of Ethiopian forces threatens to spell the end for the TFG, many of whose members already prefer the safety of Nairobi to a precarious existence in the Somali capital. The urgency of the situation was reflected in a three-day visit last week to Addis Ababa by the U.S. AFRICOM Commander, General William “Kip” Ward. The General held meetings with Ethiopian Prime Minister Meles Zenawi and numerous Ethiopian military commanders (AllPuntland.com, November 20; Ethiopolitics.com, November 21). TFG President Abdullahi Yusuf admits that his government is “on the verge of a total collapse.” The government has failed to name a new cabinet, and the President is unable to work with the Prime Minister. Referring to the rapid fall of town after town to advancing Islamist forces, Yusuf warned, “It is every man for himself if the government collapses… The Islamists kill city cleaners, they will not spare legislators” (al-Jazeera, November 16). Turkey’s paramilitary Gendarmerie, a frontline unit in the War on Terrorism, is about to undergo some of the greatest changes yet in its long history. The reforms call for a radical restructuring of the organization, designed to generate greater efficiency in counterterrorism efforts as well as assist Turkey in its efforts to join the European Union. 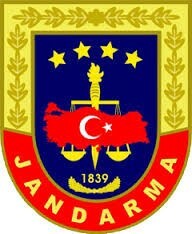 The Gendarmerie (Jandarma Genel Komutanligi – JGK) was founded as part of the 1839 Ottoman Tanzimat reforms. In 1909 it was brought under control of the Ministry of War. The Gendarmes handled interior security during the First World War and played an important part in the War of Independence that followed the Ottoman collapse. Several reorganizations followed before the Gendarmerie became involved in the Cyprus conflict of 1974 (jandarma.tsk.mil.tr). When the struggle began against PKK militants, the Gendarmerie, as the security body responsible for the rural regions of southeast Turkey in which the PKK operated, was naturally involved. Currently, the Gendarmerie has responsibility for security in 92 % of Turkey’s area, containing over one-third of the nation’s population. As a law enforcement agency, the Turkish Gendarmerie falls under the jurisdiction of the Ministry of the Interior, with responsibility for securing public order in areas outside municipal boundaries. The gendarmerie has special responsibilities in the areas of combating smuggling, border control, corrections, enforcing conscription and criminal investigations, as well as being available to perform duties to be determined by the General Staff. In wartime, however, the organization comes under the command of the Turkish General Staff and falls directly under the command of the military. This arrangement is supposed to make the Gendarmerie a more effective entity during times of crises. In practice, however, the Gendarmerie has little interaction with civilian agencies and tends to act as a department of the Turkish military even during times of peace. The reforms intend to eliminate this impractical two-headed command structure, bringing the paramilitary under complete civilian control. Based on decisions taken by the Higher Counterterrorism Board (Terorle Mücadele Yuksek Kurulu – TMYK) and the National Security Council (Milli Guvenlik Kurulu – MGK), the new Gendarmerie will focus on border security and the maintenance of order in rural areas. The force will lose its last areas of responsibility in towns and cities. The command structure will also be reformed, with civilians assuming most of the administrative positions. Both police and gendarmerie will be part of a new Domestic Security Under secretariat of the Interior Ministry (Hurriyet, October 23; Today’s Zaman, November 10). The Gendarmerie commander will no longer be listed among the top four generals of the Turkish armed forces (Turk Silahli Kuvvetleri – TSK) and will become subordinate to the Interior Minister, a reversal of the current protocol (Today’s Zaman, October 25). While the TSK General Staff appears to have given its consent to the changes (or has at least decided not to oppose them publicly), there has been opposition from within the Gendarmerie command. A letter from General Mustafa Biyik, on behalf of the Gendarmerie command, demanded a reversal of the reforms, accusing the government of ignoring the wishes of the Gendarmerie general command and the organization’s 150 year legacy of service to the state (Taraf, October 26). The Gendarmerie is also proving reluctant to transfer command in urban jurisdictions to the national police. In August, General Avni Atilla Isik, former staff commander of the Turkish Land Forces, became the new commander of the Gendarmerie. While General Isik has shifted to the Gendarmerie from the army, the new Gendarmerie Chief of Staff is Lieutenant General Mustafa Biyik, a career Gendarmerie officer, having joined the organization in 1975 (jandarma.tsk.tr). Commanders are frequently drawn from the army, returning there after a period with the Gendarmerie. For a force seeking to prove it has adopted European Union standards, the Turkish gendarmerie is facing an embarrassing assortment of court cases related to abuses of power. A court in Trabzon has ruled that the case of two Gendarmerie sergeants accused of having prior knowledge of the 2007 murder of Armenian journalist Hrant Dink can now go to trial. A gendarmerie Colonel is facing similar charges (Today’s Zaman, November 12). Former Gendarmerie commander Sener Eruygur is among those charged with participation in the Ergenekon plot (Yeni Safak, November 9; NTV November 11). Gendarmerie men are among those implicated in the beating death of a detained protestor last month (Anatolia, November 17; Hurriyet, November 17). As part of the Ergenekon investigation, retired general Veli Kucuk admitted to being the leader of JITEM after taking over from founder Arif Dogan in 1990 (Zaman, January 30). JITEM appears to have been composed largely of ex-PKK members and NCOs of the Gendarmerie, operating in small, largely autonomous cells specializing in false-flag operations. According to Aygan, torture was common and detainees were often killed. 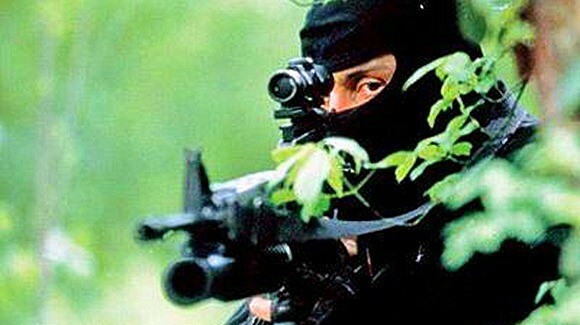 Other reforms directed at Turkey’s commando forces will have an impact on the Gendarmerie, which maintains one brigade of commandos to the army’s five. The reforms are designed to professionalize the commandos, with only officers and volunteer NCOs of the rank of sergeant and above being allowed to join the force (Hurriyet, May 8). The move to professional troops will solve the problem of conscripts leaving the armed forces once their term of enlistment is up, giving the commandos the benefit of experience and continuity in their efforts. The new commandos will receive hazard pay for serving in southeast Turkey, the focus of fighting with the PKK. Professionalization of the gendarmerie is being imposed by necessity. As law enforcement techniques become more sophisticated, a lack of education common to many conscripts is beginning to hamper operations, especially those done in conjunction with the generally better-educated police services. Changes in personnel recruitment are being matched by improvements in equipment, with ongoing modernization programs aimed at command and communications systems, weaponry, vehicles and other equipment. With unification under Interior Ministry command, the police and the gendarmerie are being encouraged to carry out greater intelligence cooperation, an ongoing problem in the Turkish security services. An important indication of the Gendarmerie’s new field of responsibility may be found in Ankara’s recent approval of the construction of 118 new posts along the border with Iraq, along with the construction of roads linking the posts to urban centers and other necessary infrastructure (Today’s Zaman, November 14). The Gendarmerie is about to become a frontier force, with long postings in sparsely populated and largely inaccessible regions. In this sense, the Gendarmerie’s resistance to losing its last urban areas of responsibility is understandable. The important reforms to Turkey’s internal security structure may be seen as part of a general trend in Europe away from paramilitary Gendarmerie-type security services. See also Ferhat Unlu’s extensive interview with Abdulkadir Aygan, Sabah, August 25. 2. Ibrahim Cerrah, Police Ethics and The Vocational Socialization of the Security Personnel in Turkey, Turkish Economic and Social Studies Foundation (TESEV), Istanbul, May 2008, p.40. 3. Turkey 2008 Progress Report, Commission of the European Communities, November 5. Insecurity continues to spread in the Darfur-Chad-Central African Republic triangle as rebels led by a Chadian mercenary slaughtered 9 soldiers of the impoverished but diamond- and uranium-rich Central African Republic (CAR). The village chief of Nobanja and his wife were also killed in the attack. According to CAR’s Interior Ministry, the November 11 ambush in Kabo, close to the CAR’s border with Chad in the mainly Muslim northern region, was carried out by men of the Front démocratique du people Centrafricaine (FDPC) led by Abdoulaye Miskine (real name Martin Koumta-Madji). Miskine admitted the participation of his troops, but denied issuing the order to attack CAR forces (Radio France Internationale, November 12). The troops were returning to Kabo after carrying out operations in the sous-prefecture of Moyenne Sido near the Chad border and were killed before they had a chance to return fire (AFP, November 12). Much of the border area is outside the effective control of CAR forces, with civilians suffering from repeated raids by bandits, rebels, and even government troops. Most villages in the region are deserted as their inhabitants seek security in remote areas. South Sudan’s leader, Salva Kiir, recently warned Egypt’s President Hosni Mubarak that the political chaos engulfing Sudan, the Central African Republic, and the Democratic Republic of the Congo could soon produce insecurity within Egypt (AFP, November 10). European Union peacekeepers based in northeast CAR also said units from the Union des forces démocratique pour le rassemblement (UFDR) rebel group carried out an attack on a CAR army outpost near the Sudan border on November 8, but were repelled by government troops (Reuters, November 12). Unable to assert its control of the unsettled north, the Bangui government is moving forward on holding a national dialogue session in December in an effort to restore stability. Many of the rebels are associated in some way with former CAR President Ange-Felix Patassé, who was deposed by General Bozizé in 2002 and now lives in Togo. Patassé grew suspicious of his own CAR armed forces after they became involved in coup attempts. 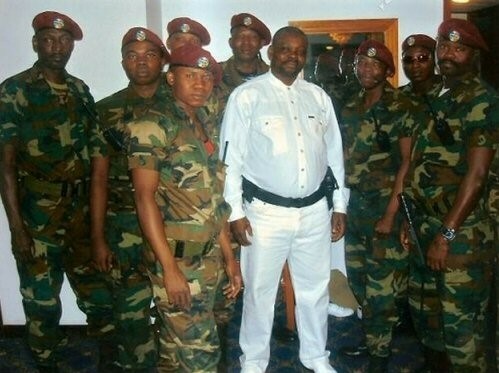 The President’s security was placed in the hands of foreign fighters, including well-armed troops from Libya, several hundred fighters belonging to the Congolese Mouvement pour la Liberation du Congo (MLC) led by Jean Pierre Bemba, and a special forces unit under the command of Chadian Abdoulaye Miskine. 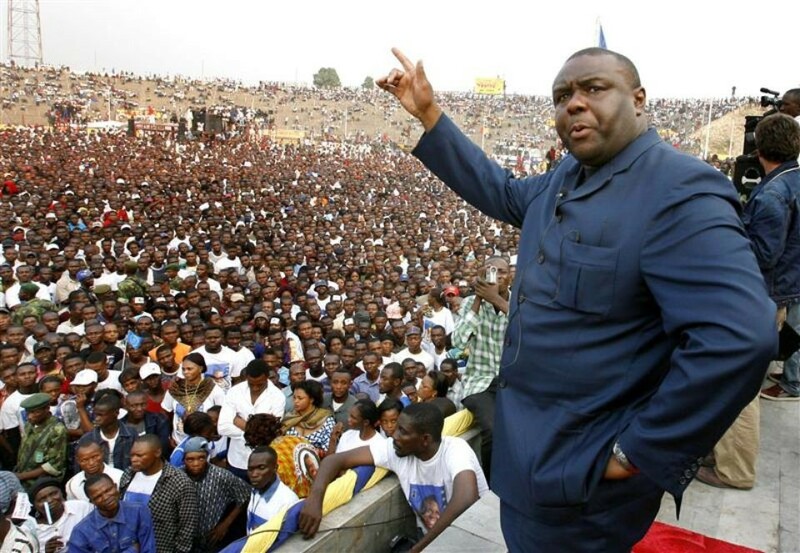 Bemba, Miskine, and Patassé all face charges in the International Criminal Court in relation to rapes, looting, and massacres carried out following General Bozizé’s unsuccessful coup attempt in 2002 (BBC, November 6, 2002). Bemba was arrested last May and is now in detention in The Hague while awaiting trial. Bozizé succeeded in overthrowing Patassé in 2003 and was “elected” president in 2005. His government blames much of the rebel activity on neighboring Sudan. Khartoum in turn blames the CAR for supporting rebels in Darfur, though it is difficult to see what resources the CAR might offer in its current state. With the collapse of the nation’s power plants and the near-total deterioration of most other infrastructure despite enormous agricultural and mineral potential, the rebels and government find themselves struggling to control the ruins of a state. At stake are expected revenues from the development of the country’s uranium resources, with French nuclear energy giant Areva scheduled to begin uranium production in the CAR in 2010 (AFP, August 1). France has provided military and logistical assistance to the Bozizé regime against rebel forces in recent years (AFP, January 30, 2007; Afrol News, February 5, 2007). Spain’s Guardia Civil has released details of a terrorist manual discovered in the Catalonian home of Muhammad Mrabet, a Moroccan national accused of organizing an al-Qaeda cell that sent prospective suicide bombers to Iraq. 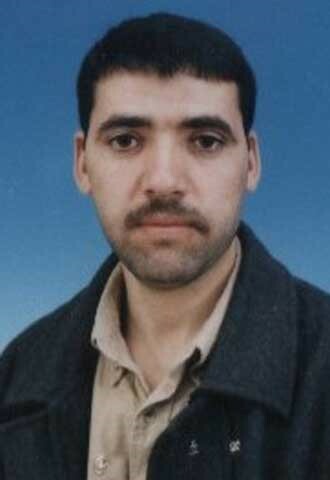 The most notorious product of Mrabet’s network was Belgacem Bellil, an Algerian who detonated a truck carrying 3,500 pounds of explosives at the Italian camp at al-Nasiriyah in 2003, killing 19 Italian soldiers and nine Iraqis. It is necessary to change the way of dressing, the haircut, the place of residence, car, daily routes, arrival and departure times, places, and meetings…Use nicknames, false names and codes, even within the members of the same group; speak in a low voice, do not say much; to talk far too much may provide some information to the enemy and damage the rest of the mujahideen. The author of the jihadi security manual remains unknown. In recent years Catalonia has become known as one of Europe’s most important centers for recruiting and training suicide bombers on their way to Iraq (La Vanguardia [Barcelona], June 3, 2007; see also Terrorism Monitor, June 7, 2007). Right on the heels of the death of five Chinese oil workers in Sudan’s South Kordofan province came news of the murder of three Sudanese oil workers and the abduction of two Yemeni workers in neighboring Unity State. The latest ambush is blamed on individuals from Sudan’s Baqqara (cattle-owning) Arabs, who are also held responsible for the abduction and killing of the Chinese workers (Sudan Times, October 30). Nine employees of the China National Petroleum Corporation (CNPC) were abducted on October 18 while doing contract work for the Greater Nile Petroleum Operating Company (GNPOC). 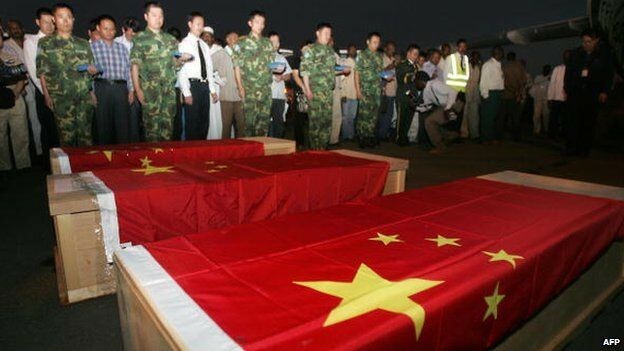 Three were killed on October 27 in an incident described by Chinese authorities as a botched rescue attempt by the Sudanese Armed Forces and by Khartoum as an accident caused when the kidnappers became nervous after a military helicopter began monitoring their movements. Two more workers were found dead in the following days (AFP, October 31). Chinese Foreign Minister Yang Jiechi is reported to have told his Sudanese counterpart, “It is one of the most serious killing cases of oversea Chinese workers in recent years and we are very shocked by it” (Sudan Times, October 29). Four remaining workers were hospitalized after being rescued. Identification of Arab Misseriya tribesmen as the responsible parties seems to have been confirmed by the arrival of a delegation of Misseriya leaders to negotiate the workers’ release and a claim of responsibility from Abu Humaid Ahmad Dannay, a Misseriya who also claims to be the leader of the rebel Justice and Equality Movement (JEM) in Kordofan (Al-Sharq al-Awsat, October 24). Though JEM has repeatedly stated its determination to drive out China’s oil operations, it has denied any participation in the latest abductions through recognized spokesmen. Dannay refuted Khartoum’s description of the abductions as terrorism, stating, “The government is terrorizing us and we will respond in a similar manner.” The Chinese Foreign Ministry has also denounced the kidnappings as “terrorism” while calling for “severe punishment” of those responsible (China Daily, October 29; Xinhua, October 28). Sudanese security forces report they have the names of 25 individuals involved in the abductions, while local reports say the kidnappers are suffering from shortages of food and drinking water (Miriya FM, October 32; November 1). 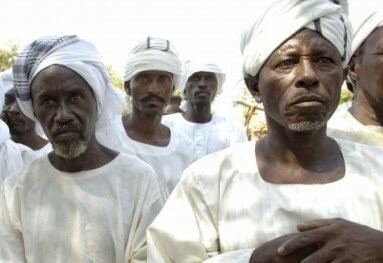 The government continued to claim that Darfur’s rebel Justice and Equality Movement (JEM) was responsible for the abductions until November 1, when Sudanese Foreign Minister Deng Alor identified the suspects as former members of the government’s Popular Defense Forces (PDF) militia who were not integrated into the regular army after the 2005 Comprehensive Peace Agreement (CPA) (Sudan Tribune, November 1). The PDF in South Kordofan have suffered from a recent decline in funding and numerous defections to the Sudanese Peoples’ Liberation Army (SPLA). Misseriya grievances against Sudan’s growing oil industry include the destruction of pasture land and a preference for employing imported Asian workers instead of hiring locally. Having fought for years on the frontline of the north-south civil war, the Misseriya now feel abandoned by Khartoum. The Misseriya feel that the oil fields of the north-south border region were secured through their efforts, only to now see oil revenues used for the reconstruction of Khartoum while the poverty of South Kordofan remains unchanged. The leadership of the Misseriya is in a state of flux after government efforts to replace traditional leaders who supported Sadiq al-Mahdi’s Umma party with inexperienced individuals willing to support the ruling National Congress Party (NCP), which is dominated by Arab Islamists from north Sudan. Misseriya gunmen also abducted four Indian oil workers and their Sudanese driver last May. Continuing attacks on oil workers threaten the development of the petroleum industry in Sudan just as a decline in oil prices and demand is creating a sharp drop in current revenues. The continuing militarization of the oil-producing regions is unlikely to inspire further investment, though China has stated its close economic involvement with Sudan will stay unchanged despite this latest in a series of attacks on Chinese facilities (AP, October 21). Kenyan security agencies were put on high alert on October 30 in response to threats from Somalia’s al-Shabaab movement. Al-Shabaab leader Shaykh Mukhtar Robow “Abu Mansur” issued a threat in mid-October to begin “a jihadi war in Kenya” if Kenya did not cease military training for some 10,000 recruits belonging to the forces of Somalia’s Transitional Federal Government (TFG) (Afrol News, October 16; Independent, October 17). An internal Kenyan government memo warned, “Information reaching our frontier control department indicates that al-Qaeda terrorist organizations under the leadership of one Harun Fazul [Fazul Abdullah Muhammad] are planning to attack vital installations and Western Interests in Kenya and Uganda” (Nairobi Star, October 31). In September there were fears Harun Fazul (who is wanted for his role in the 1998 al-Qaeda bombings in East Africa) was planning attacks in the Ugandan capital of Kampala in retaliation for Uganda’s participation in the UNISOM peacekeeping force. 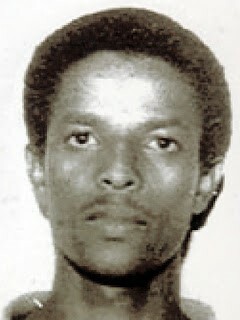 Fazul was believed to be in the vicinity of the Kenyan town of Malindi at the time, where he evaded a security dragnet. In what police describe as a “massive operation,” security forces have attempted to close the usually lightly guarded Kenyan-Somali border. On October 30, Kenyan police discovered 600 bomb detonators on a bus headed for the Mandera region of northeast Kenya – a possible indication of an impending escalation of violence in the area, already beset by clan fighting (Nairobi Star, October 31). In the third week of October, Kenyan police and military forces began a large-scale security operation in the Mandera region, where most of the population is ethnic Somali, with close ties to related groups across the border in Somalia. The operation came in response to continued fighting between the Murule and Gharri clans. The conflict between the two groups has existed in one form or another for decades, but became heated in recent weeks after relative calm since a peace agreement was signed in 2005. The Murule and Gharri appear to have aligned themselves with rival clans within Somalia’s larger Marehaan group. According to some reports, Nairobi now views the clan fighting in Mandera as a potential threat to national security, as Kenyan intelligence reports that arms and funding from Somali clans and the extremist al-Shabaab movement are reaching the combatants in Mandera (NTV [Nairobi], October 30). There are also fears the weapons being shipped to Mandera may be passed onwards to intensify ethnic and political conflicts elsewhere in Kenya. Security forces seized a small amount of communications equipment, which they said was used to coordinate illegal border crossings and monitor the movement of security personnel (NTV [Nairobi], October 30). The clans, however, have charged the security forces with using excessive violence (Daily Nation [Nairobi], November 3). Hundreds of people have been admitted to local hospitals with fractures, cuts and internal bleeding they say are the result of beatings and torture by security forces looking for concealed weapons. Kenyan police insist the wounds and injuries are self-inflicted and part of a campaign to stop the military operation (Daily Nation [Nairobi], September 1; IRIN, October 31). There are reports that as many as half a million people have become displaced due to the fighting, which began with disputes over pasture land and scarce resources (The Standard [Nairobi], November 2). Some local leaders are urging an arbitration panel of religious scholars rather than a military campaign to reduce violence in the region, but the military says it will remain until it has completed its disarmament mission.